Here we have Sarah Jane Szikora’s view of Great Britain which she sees it as ethnically diverse and artistically she creates this by using different coloured jelly babies. 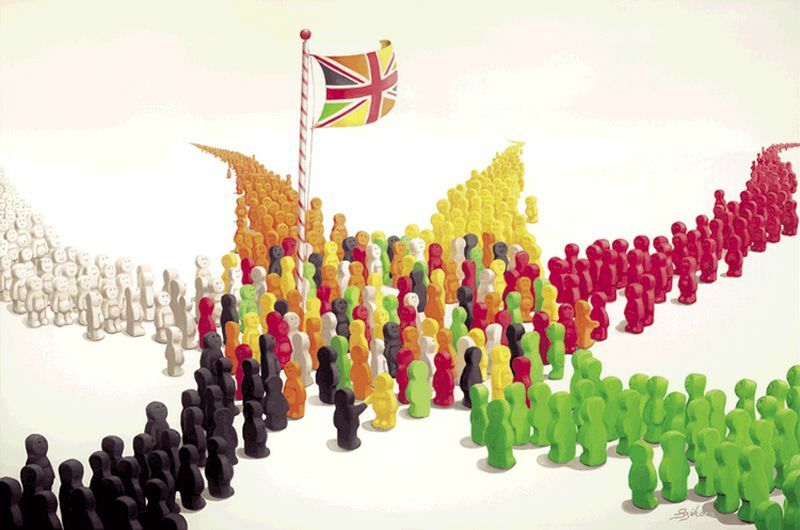 You can feel the hope and expectation for the future as the jelly babies all mingle and greet one another in the middle, as one proud nation in peace and harmony together. This artwork has extra meaning, as Sarah reminds us that in the 1950s her own father came to the UK as a refugee and she will always be thankful for this! I see the sweets as representing the innocent, fun and wonder that all children have and the non-judgemental nature we are all born with.